A special occasion always requires special hairstyles, which is why J. Faith Hair Salon offers many different options to make you look as if you just stepped from the red carpet. The occasion can be anything – a photo shoot, a wedding, a class reunion – any event where you want your hair to look stunning. If you need a blow-out or style for an upcoming photo shoot, the stylists at J. Faith are here to give you exactly what you want. Even if you simply want your hair styled in a similar manner to the way you always wear it, but want it to be smoother, sleeker and bouncier, our stylists can help you there as well. Let’s face it, a trained professional always makes our hair look better when they style it simply because our arms don’t bend in a way that lets us do our hair properly. Why not make this occasion really special with a style by the talented stylists at J. Faith Hair Studio? Perms are coming back into style and more people are choosing them for their special occasion hairstyle. It is important to remember that a perm, as the name implies, is a long-term commitment, so we recommend that you consult with one of our stylists to be sure a perm is right for you. If you decide to go with a perm, our stylists will apply the solutions properly so you are assured of bouncy, beautiful curls for as long as possible. Proms, weddings and other special occasions call for special haircuts and styles. 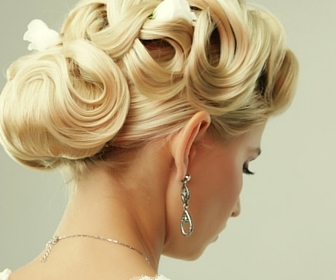 We can create a simple, sleek up-do for your class reunion or an elaborate, stunning style for your wedding. Even if you simply want a change from your regular hairstyle for date night with your husband or a girl’s night out, our stylists will work with you go give you the perfect style for any occasion. Is There a Salon Near Me Help With My Formal Event or Special Occasion? No matter what your plans are for the day or night, whether it is your wedding, your day to be a bridesmaid, senior prom or a night out on the town, J. Faith Hair Studio can provide you the haircuts and styles that will have heads turning as you walk in the room. You can arrange for a consultation with one of our talented stylists online or by phone. We can’t wait to help you look stunning for your special occasion or formal event!